Sometimes people who have never hired a professional magician may have some questions to ask. David is always delighted to respond to any of your own unique queries, either by email, telephone, or during a face-to-face consultation. However, here are some frequently asked questions which David Fox hopes will assist you. Q. Why should I call upon the services of magician David Fox? A. David is one of the few professional magicians in the country. 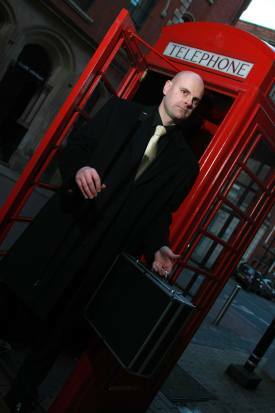 He has a wealth of experience and has performed at many of the top venues throughout the UK and Europe. David is a member of the prestigious Magic Circle organisation which requires members to undertake a rigorous examination process to gain entry. He is also a member of Equity, has full Public Liability Insurance, and holds an up-to-date CRB certificate. Q. What type of magic does David perform? Q. At what type of events can David perform? Q. Surely magic is just for children? A. 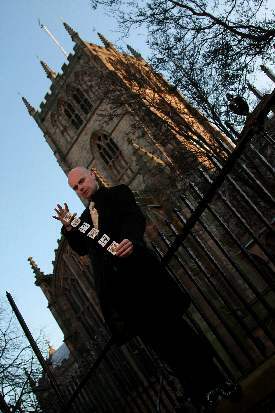 Children obviously enjoy magic as much as adults and David is delighted to work with all age groups. David has spent some time working in schools and colleges and always enjoys striking a rapport with a younger audience. However, the notion that magic is just for children is inaccurate. David's extensive repertoire allows him to tailor his performance depending on the age-group he is working with. Recently he performed at the birthday parties of a six year old boy and sixty year old grandmother over the same weekend! Both events were a resounding success. Q. What type of services and packages does David provide? A. David can provide close-up magic, table magic, stage/parlour show of magic and also balloon modelling services if need be. His packages will be created depending on guest numbers, nature of the event, time of event and location. Q. For how long can David Fox perform magic? A. Recently a couple booked David for their wedding reception. He performed close-up 'mix-and-mingle' magic for two hours during the early part of the evening reception. He then finished with a twenty minute stage show for all of the guests just before the DJ struck up with the opening track! Afterwards David also provided balloon modelling for all the children present. In total he was working at the venue for around three hours, but it really just depends on guest numbers and the expectations of the client. David is always flexible and the client and people at the event will always come first. There were around one hundred people present last night, but smaller, or even larger, events may require a different strategy. Q. Does David only do magic with playing cards? A. No, David's performance is full of surprises! He does love to perform exceptional world class magic with a deck of playing cards, but he also appreciates that variety is essential in order to fully engage and entertain an audience. Indeed, David's magical repertoire is most impressive and includes a stunning array of illusions, routines, and effects which will leave you and your guests profoundly mesmerised. Like any magician worth his salt, David Fox has created his own unique magical effects which only he and he alone performs. This is one of the hallmarks of a dedicated professional magician and it is essential in order to develop a pedigree and standing within the art of magic. 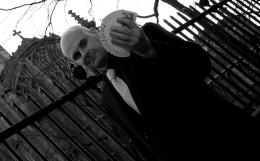 David's performances include: card manipulation, mind reading and psychological effects, classic sleight-of-hand, parlour illusions, and exquisite gambling demonstrations; all guaranteed to please the crowd! David is also a magnificent balloon modeller and is always very happy to create intricate models for delighted audiences to take home and cherish! Q. Is David Fox available for performances outside of London and internationally? A. David is the international man of mystery, magic, and illusion. He performs magic at venues throughout the UK and around the world. 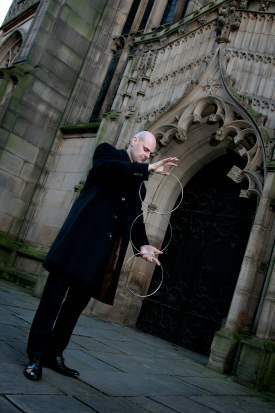 David spent several years in France and Belgium perfecting his magical skills, and has enchanted audiences as far afield as Beijing and Shanghai. David's magic is very special as it appeals to people of all cultures and social backgrounds! David Fox's magic is unique, versatile and highly accessible to all age groups. He is always sensitive to the requirements of the client, his audience, the occasion, and venue. 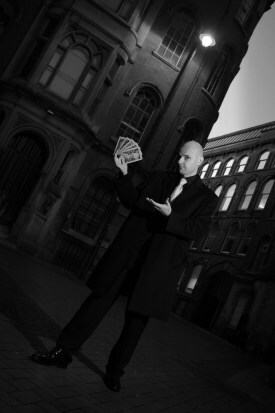 A true professional and world class magician, David Fox will ensure the job is done to an exceptional standard every single time he performs... Contact David today for your next special event. Q. How does David perform on wedding days? A. David can customise a unique package for your special day. Every wedding day is different and David is always extremely meticulous in his preparations for each performance. 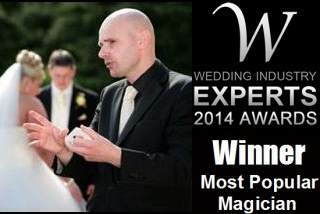 At most wedding receptions David will deliver his wonderful close-up magic during the drinks reception and photographs. This is a tremendous ice breaker and will keep everyone thoroughly amused and entertained during what can be a rather monotonous period of the day. Sometimes David is called upon to entertain during the wedding breakfast and his sensational table magic is always certain to captivate your loved ones. David's elegant parlour show is also ideal for wedding receptions. At the last wedding reception he performed at he enchanted the entire wedding party immediately after the speeches with his wonderful show. Indeed, sometimes David's show can be utilised during a room change when the DJ is setting up for the evening function. Rest assured, David will always provide a world class level of service and ensure that your unique requirements are fulfilled on what will be one of the most important days of the bride and groom's lives. Q. How much does it cost to call upon David's services?